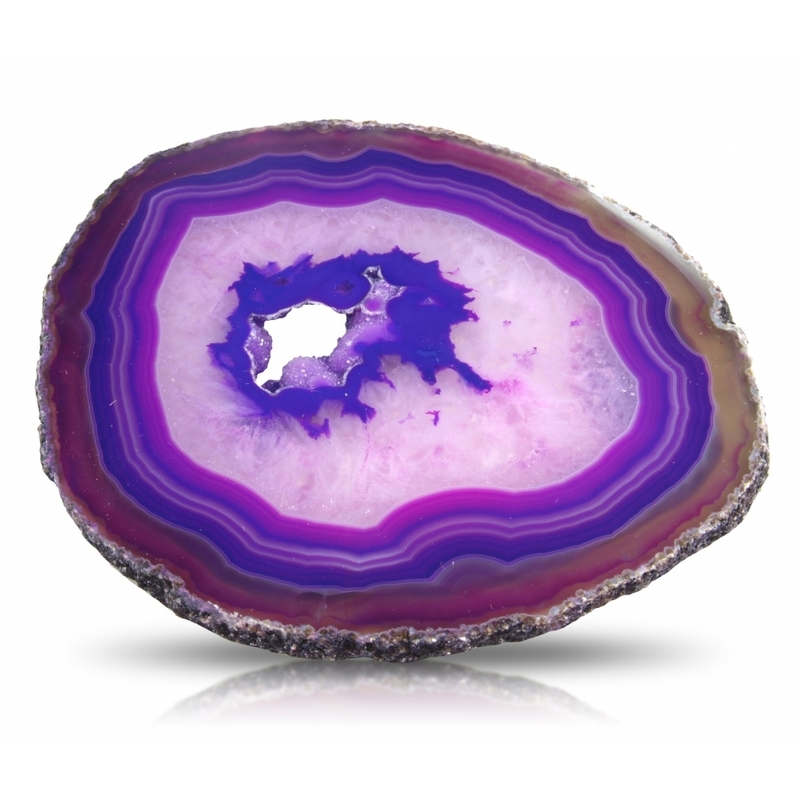 Colourful and beautiful, this 8" Purple Agate Stone Slice is sure to be noticed. The slice reveals the natural patterns and shades, which are the result of volcanic lava bubbles cooling and slowing filling with crystalline bands. An original gift idea, the ornament would make a unique addition to many homes and interiors, especially on a shelf or office desk.